Thomas Jefferson was born in Virginia, on April 13, 1743. He was the draftsman of the Declaration of Independence of the United States. 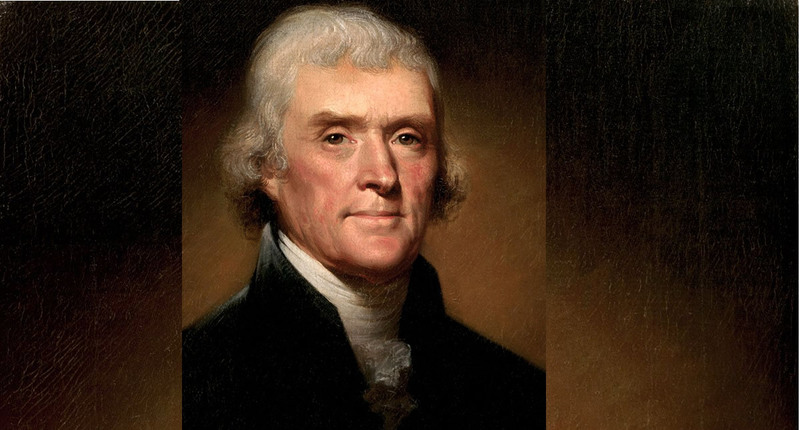 Between 1789 and 1794, Jefferson served as the first secretary of state. He served as John Adams’ Vice President between 1797 and 1801. He became the third U.S. president and served between 1801 and 1809. His presidency was marked with the Louisiana Purchase, the cut of the U.S. national debt, and drastically reduction in the size of the military forces. Despite his many flaws, Thomas Jefferson is considered to be one of the greatest minds of American History and one of the greatest American Founding Fathers. He died on July 4, 1826. 192 years after his death, he is still cited by contemporary politicians worldwide. From life, experience politics, government to freedom and happiness, we’ve captured the best Thomas Jefferson quotes for you.